Negritude rejected Europe and sought to forge a binding identity for Africans and their descendants worldwide. Negritude, Senghor must have realized, was merely a poem. He needed, at once, words and music — the great cleanser, a healing balm for broken histories. Even with limited resources at his newly independent Senegal’s disposable, Senghor channeled nearly 25 percent of his country’s money towards culture, elevating the wealth of raw Senegalese expression over a long imposed Francophilia. In 1966, Negritude’s poem became song in a masterfully organized showcase of Black unity. Thousands of the finest ambassadors of Black culture and thought gathered at the very first Festival Mondial Des Arts Negres (World Festival of Black Arts) in Dakar. The festival revealed an emerging Pan-African culture that would bind the newly liberated African homeland to Black people in the diaspora. Senghor proclaimed Dakar, already the cosmopolitan capital of French West Africa, as the capital of Black civilization, immediately opening Senegalese imaginations to transatlantic ideas. The festival’s crowd, not always aligned in opinion but deeply intertwined by the currents of Black Atlantic history, was regal: Harlem Renaissance writers, jazz greats like Duke Ellington, Afro-Caribbean political theorists, Brazilian musicians, African heads of state like Haile Selassie, members of the Black Power Movement in the United States, and fittingly, a large delegation from Cuba. A few months prior to the World Festival of Black Arts, Havana hosted an even larger gathering of all colonized countries from Asia, Africa, and Latin America. For a wounded Africa emerging from a plunderous era, Cuban society offered a seductive vision of how a more just world could be ordered. Africans admired Cuba’s dismantling of the apartheid shackles that were part of everyday life — Afro-Cubans were barred from entering most live music venues before the revolution — on both sides of the Atlantic and Cuba’s unrepentant celebration of a distinctly African past. Cuba has displayed in its relations to Africa?” Cuba dispatched doctors, engineers, and teachers by the thousands across Africa, and educated nearly 30,000 African students on fully paid Cuban government scholarships. to ignore the region’s African heritage in favor of a more Iberocentric identity” endeared hearts and minds not only from Dakar to Dar-Es- Salaam, but as far as Indonesia, the hub of Asia’s most prolific Cuban- inspired music scene in the ‘60s. Cuba’s vision was the Medina’s vision, and Cuban music connected the maligned Medina to a world outside of French hegemony. “When ‘modern’ Cuban music entered Senegal in the 1930s,” Shain wrote, “it was not a totally strange phenomenon to many urban Senegalese. Echoes of Cuban music had already been reverberating along the West African coast for several centuries,” through not only slave trade networks but even the routes of Afro-Caribbean and Senegalese sailors. Cuban son, guajira, pachanga, descarga, changüí, rumba and especially salsa all trace their rhythmic prowess to a melange of traditions ranging from Mauritania to Mozambique. 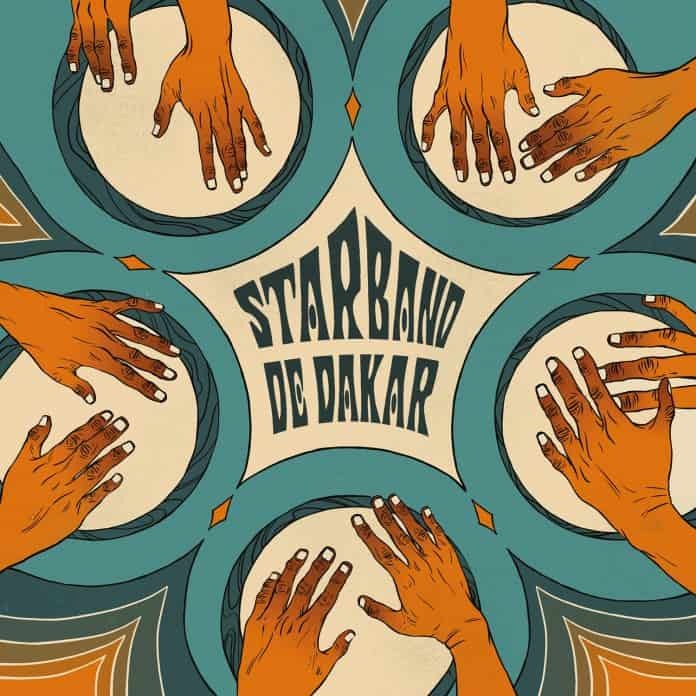 In the Medina, in this time of rich, revolutionary thought, Star Band de Dakar was born in the 1960s. The band was the absolute perfect poem, replete with the finest Afro-Cuban words and music. In December of 2018, Dakar unveiled the Museum of Black Civilizations, the realization of Senghor’s dream that began at the World Festival of Black Arts in 1966. The disc-shaped museumis an ode to Great Zimbabwe’s medieval architecture and houses the high cultural achievements of Black culture throughout the world, giving equal weight to the contributions of the United States, South America, and, of course, Cuba. This album is the soundtrack to a time when another way — the Cuban way — was possible.